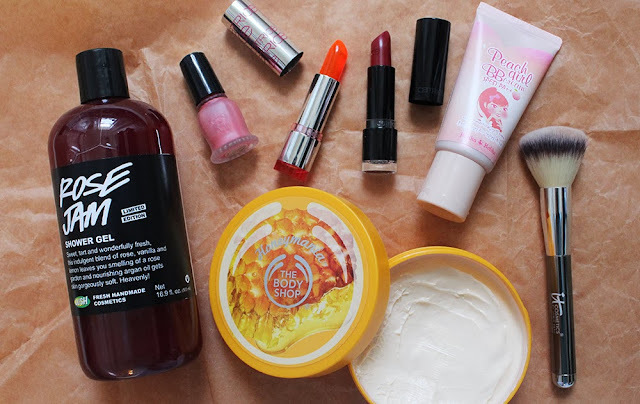 My favorites posts have been very sparse and sporadic this year but that's not to say I haven't discovered many beauty loves. On the contrary, I actually have a lot of amazing goodies that I've been using throughout the year but I can't possibly mention every single product in a favorite post. That would certainly undermine the point of a favorites post! But I've rounded up a few pieces that I've been reaching for over and over again for the past few weeks and wanted to share one last favorites before 2013 is over! The Body Shop Honeymania Body Butter - I introduced this lotion in my recent The Body Shop haul and have been turning to it almost daily. The sweet floral scent is lovely and the rich creamy texture makes my skin softer and prevents it from drying out. It's definitely worth a look (or sniff) if you happen to pass a The Body Shop store. ItCosmetics Powder Brush - I recently purchased the Heavenly Luxe 6-pc Brush Collection with Travel Case from ItCosmetics and the powder brush is definitely my favorite of the bunch. This synthetic brush is one of the softest brushes I own and applies powder really beautifully. The brush has a nice weight and is well made. I hope to add more ItCosmetics brushes to my stash in the future. Majolica Majorca Creme de Cheek Blush in PK312 - I have been rotating between a few blushes depending on if I'm wearing warm or cool toned eyeshadows and this liquid blush by Majolica Majorca is a favorite if I'm sporting some purple hues. This beautifully packaged drugstore blush is only readily available in East Asia and I picked mine up in Singapore. 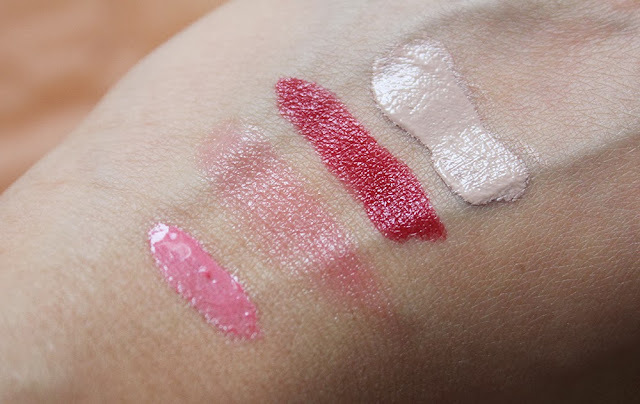 I now wish I had grabbed all four shades because these are a dream to apply and last for ten hours before fading. Just three dots on each cheek yields the perfect flush of color! Catrice Lip Glow - In the tube, this lippie looks like a translucent orange but once applied, it transforms into a pretty fuschia color. This is one of those products that is supposed to adjust to your body chemistry and look different for everyone. While it's not moisturizing, it's not drying either and gives you the look of a lip tint without the mess that comes with liquid stains. Catrice Ultimate Color Lipstick in Step Red Up - I'm kind of kicking myself for not stocking up on more Catrice lipsticks because they are such good quality for a bargain price. This is one of my favorite red lipsticks at the moment because it has fantastic pigmentation and good lasting power. The cream finish is comfortable to wear and the blue tones in the red make my teeth look slightly whiter. Love this! Holika Holika Peach Girl BB Cream - I picked this up in Malaysia after reading several positive reviews about this particular BB Cream. 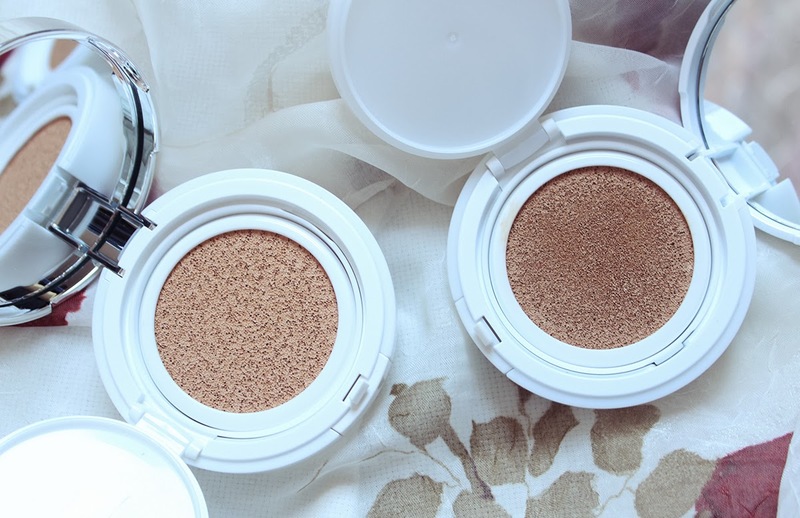 The coverage is medium and buildable and the finish is a perfect satin finish. 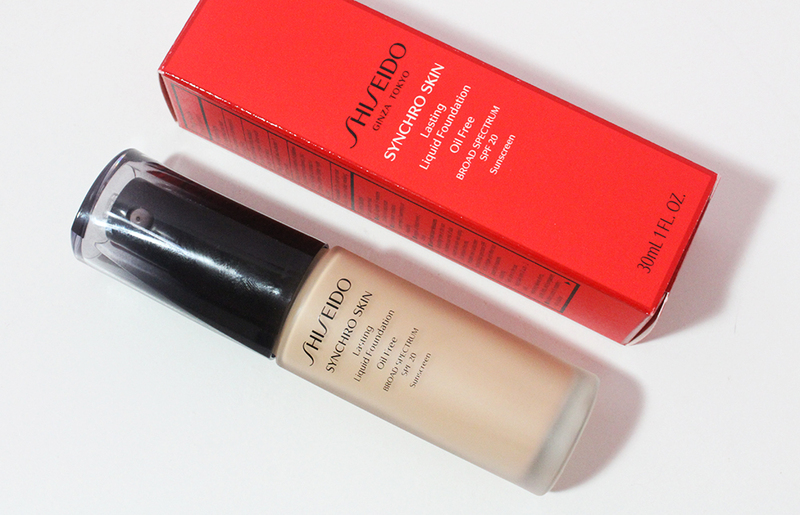 My skin is evened out and brightened whenever I wear this BB Cream and it's one of my favorite bases at the moment. If you're curious to see how I apply the blush and how the Catrice Lip Glow looks when applied, watch the video below! What are some of your recent favorites? Have you tried out any of the products I mentioned?